The Sharp R-23AM extra heavy duty oven is a popular choice of professional microwave for bakeries, coffee shops, event catering companies and takeaways. It offers an easy to use electronic dial control and four power levels with twin stirrer fans. It’s housed in a sturdy stainless steel casing and this model features a cavity saver for increased life and ease of cleaning. 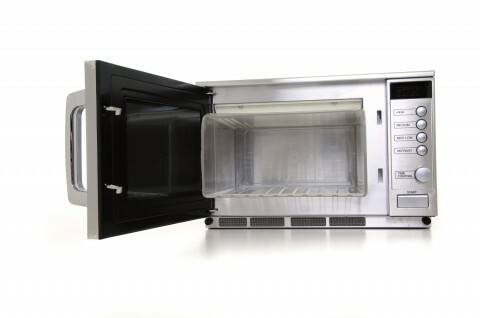 Thousands of commercial microwave ovens are in daily use in fast food outlets, restaurants, hotels, brewery chains and pubs, and they often break down on a regular basis due to the lack of correct cleaning procedures. This means expensive repair costs could be saved by using the Microsave Cavity Liner, which protects the vulnerable exposed parts. It also increases hygiene standards and makes cleaning easier.